We manufacture and design the best quality acetylene gas plants employing the latest technology and high quality materials. Our acetylene gas plant with production capacity of 100m3/ hour is exported to our clients in over 40 countries. Our acetylene systems are superbly designed and are equipped with modern digital systems and other features that render them very easy to handle and run. Our machinery is fully automated and has amazing digital control system, which lets you control and manage all functions of the plant. As all functions of the machinery are automated it allows a single operator to manage the machinery. We use high grade stainless steel in the making of machinery to ensure long life, efficiency and strength of the machinery. All our manufacturing processes comply with internationally approved standards like ISO 9008:2015 and CE. Acetylene gas has got many applications in large number of industries. 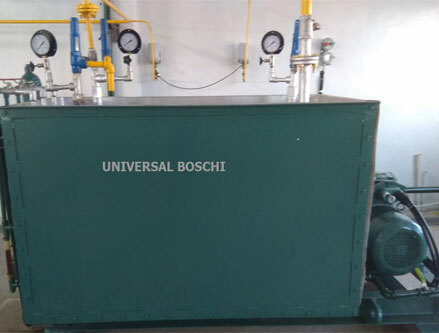 It is known as the most efficient of all the fuel gases and is in much in demand in steel plants for oxy-acetylene gas cutting, welding and flame cutting. All these industries prefer to have onsite acetylene plants for generating their on fuel gas. It is an ideal choice because it produces superb heating with low thermal waste. Acetylene generated in our acetylene system is high quality that meets industrial specifications. It requires minimum use of oxygen which improves its efficiency. Acetone is used with the fuel gas for prevention of decomposition. A lot of heat is generated as a result of the reaction between calcium carbide and water, which must be controlled to avoid explosion. And, it is efficiently done in our acetylene gas plants equipped as they are with the latest technology and control systems. Before water is reacted with calcium carbide, it is ensured that calcium carbide is properly powdered first in a pulverizer. While the reaction is taking place between calcium carbide and water, considerable of heat is generated that needs to be moderated to avoid explosions which is efficiently done in our acetylene gas plants. And, the powdered calcium carbide is added through a gas hopper valve to the acetylene gas generator having adequate amount of water to discharge lime slurry comprising of 85 % to 90 % water. During the time of reaction temperature is kept at 90 deg C and pressure is maintained at 2 atm. 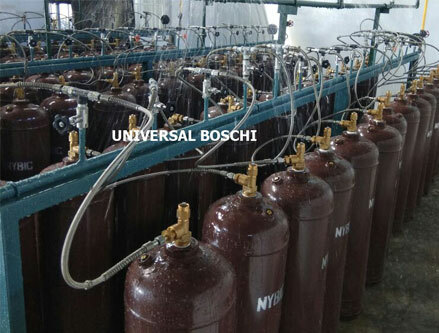 Our acetylene gas plants can generate acetylene gas 24*7 without any break. Solidly constructed and designed, the plant machinery can generate as much of fuel gas as you want. It also allows you to have backup acetylene which you must store in acetylene cylinders. It will be used at the time of contingencies. On purchasing an acetylene system you will have peace of mind knowing that your business will not suffer on account of irregularities of acetylene cylinder supplies. Our plant machinery can be equipped with cylinder filling manifold and storage. While manufacturing, fabricating and designing of acetylene gas plants we pay a lot of focus on delivering smooth experience of operating our machinery. Our engineering expertise and excellence enables us to make systems that are efficient, reliable and durable. Automation is another feature that allows customers to operate the machinery comfortably. As the plant is completely automated it can be operated by a single operator, not technically qualified. It is equipped with digital control system which enables you to control all functions of the system. We recommend that you replace compressors and filter components regularly to keep them in top working condition. It is a fact that running an industrial gas business is a profitable venture despite being capital-intensive. 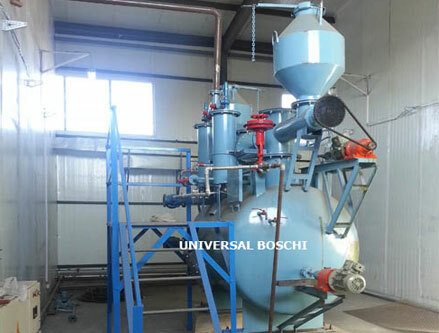 After purchasing acetylene plant from our company, your investment will turn break-even after two years. Then, your business will continue to deliver your profits for a long time. Buying a plant from us will guarantee you profits for years to come. The only drawback is that you have to pay a hefty amount at the time of the purchase and, then, the plant machinery will keep making profits for you as industrial gases will remain in demand for foreseeable future. Acetylene gas is used in wide range of industrial applications apart from its routine use in steel industry and various others. However, it is it also used as making plastics and chemicals. It is also used in organic synthesis and chemical synthesis.